a. Laser level - Required. You should not attempt to construct a wall mural without a laser level A laser level will insure success and speed up assembly. Plus, it is the only way that you can hope to achieve a seamless result. The Black & Decker Bullet Laser to the right is one of the least expensive and most functional around. It projects vertical and horizontal laser lines for accurate placement of wall mural panels. b. Paper cutter - Required. Just as with any wallpapering type of project, the proper cutting tools assure that you will create a truly stunning wall mural. Having these tools will also allow you to use YottaPrint over and over to change or create new wall murals in the least amount of time and with the best possible result. Office Depot(R)Carl(R) RT-218 Rotary Paper Trimmer, 18in. Office Depot(R)Carl(R) RT-218 Rotary Paper Trimmer, 12in. c. Glue stick - Required. In our testing we found the best finished result is achieved by using glue stick carefully around the edge of each panel that you will not see. In other words, only get glue from the glue stick on the back of each panel -- make sure no glue touches the front that is seen. Elmer's(R) All-Purpose Glue Stick, 0.77 Oz. d. Spray adhesive - Required. You will need spray adhesive for the center of the panel pages. Spray a very light coating in the center after the upper left edge is secure with glue stick. The spray glue or spray adhesive you choose should be the cheapest or actually lowest quality as all you are doing with it is gluing paper. e. Temporary spray adhesive - Optional. Will allow temporary page installation - pages can be removed from surface. This product may be useful if you want to easily disassemble a mural later on. Load Image - Select File Open and navigate to the desired image file. Click on Properties, then in the Layout tab, click Advanced and select a paper size and set other options. These settings tell YottaPrint how to divide the image. Enter either the width or height and the other value will automatically be filled in if the check box is checked. In this example, 96" high was input (floor to ceiling) and the width was automatically calculated by YottaPrint. The desired overlap this is the amount of the image that will be repeated in the overlap position (see below). This will ensure that no gaps will be visible in the finished mural or poster. An margin or overlap is only needed on two sides of an image. This setting shows where the overlap will appear - in this example the overlap will be printed on the top and left margins. Numbering puts a very faint page number on the panel pages. This is a good idea so you don't get pages mixed up and realize that printing page numbers is likely to be covered up by adjoining pages. 1 -> # of pages - the current page number is printed then the total number of pages in the mural set is printed. Crop marks prints very faint dotted line lines (crop marks) on each page to assist in lining up the pieces. These lines are not detectable in the final mural but you should also be aware to use the laser level primarily for aligning panels, not crop marks. The laser level guide lines are much MORE IMPORTANT to focus on when constructing the mural. We printed these crop marks on all the murals we created and none are the slightest bit visible. We also learned in this process that the laser lines are the first guide to place the panels, the crop marks to make slight adjustments after placed with the laser lines. YottaPrint enlarges images using the core engine in Imagener Photo Enlargement Software - see www.imagener.com. This makes the image very large in memory and a huge amount of data to throw to a printer all at once. For that reason we recommend printing single pages using the above procedure both for printing test pages and the entire mural project. 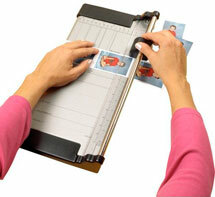 Digital Picture Enlarger - Enlarges digital images without pixelation and virtually no loss of image quality. Click here for more information. Employee time tracking shows employees arriving and leaving, instantly totals hours, produces reports you just hand to payroll. Click here for more information. GPS distance recorder and route tracker. Maps routes & accumulates mileage for auto asset tracking and tax savings.Click here for more information. Send comments, suggestions or requests for further assistance to us by going to our Imagener contact page. Click here. Purchase YottaPrint today. Use it. Kneson Software is so sure that you will love the YottaPrint technology that we're offering 100%, no-questions-asked money back guarantee for a FULL 45 DAYS. 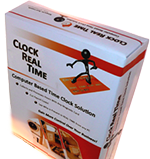 If at any time you feel that our software does not EXCEED your expectations, we will refund you immediately. Kneson Software products contain no Adware/Spyware.